Nuts are one of nature’s superstar foods, and a regular part of my own diet. They’re rich in amino acids, fibre, minerals and healthy fat, plus they’re portable and make the perfect satisfying snack. I’ll always keep a bag of almonds or walnuts on hand for hunger emergencies! 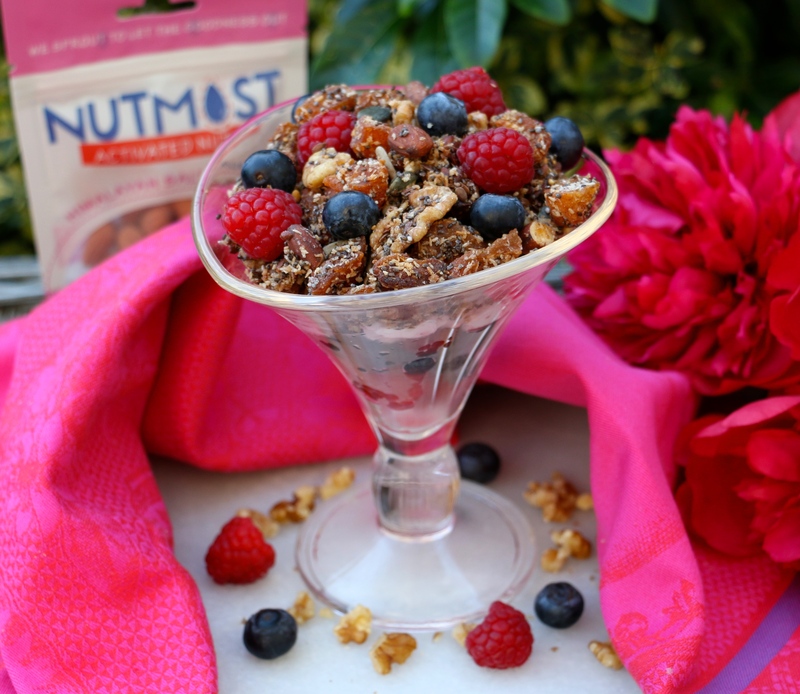 Irish company Nutmost has most definitely raised the nut bar with their range of activated nuts. What that means is that their nuts are put through a soaking process, which removes a naturally occurring compound called phytic acid from the nuts, and also kickstarts germination, ‘activating’ the natural enzymes in them. Did you know? Soaking various foods such as nuts, makes the nutrients more readily available to your body and easier to digest. After activation and in order to preserve the nutrients at their maximum, the nuts are dried out in a raw food dehydrator below 46 degrees. 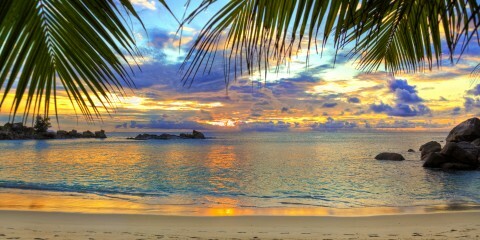 It’s a very slow process but worth it to make the finished product that bit more special! 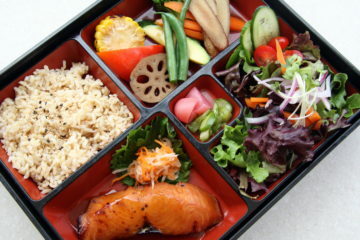 To make them more snackable, they added in some natural vegan flavourings: Tamari – which is a gluten free soy sauce, Maple for a sweet taste, and Himalayan salt which is a high mineral natural salt. I love the maple walnuts as a snack, and their resealable bags make them perfect for popping into your handbag, but they also taste delicious crumbled on top of porridge or as a key component in my grain-free maple, walnut and apricot granola. 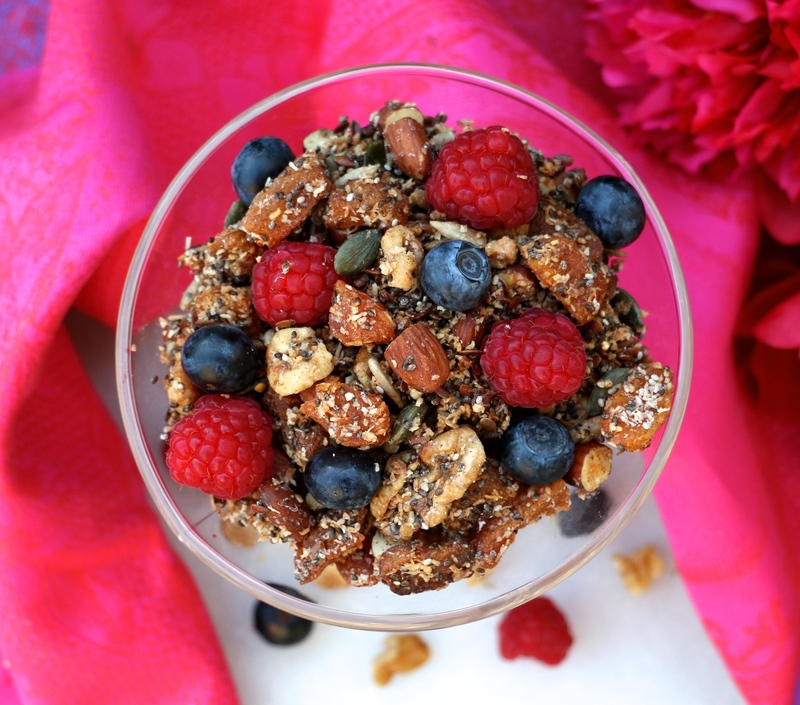 I love homemade granolas, and I’m always looking for ways to make breakfasts and snacks more interesting. I left oats and other grains out of this recipe, so it’s fully based on nuts and seeds, coconut and dried fruit. I added cinnamon and ground ginger to lift the toasted flavour of the nuts and the spices work so well with the maple-flavoured walnuts. Dried apricot is a useful source of iron, and adds a pleasant pop of sweetness to the granola. Yum! I love it on its own with a splash of ice-cold almond milk, but here I created a parfait with juicy fresh berries and raspberry vanilla coconut whip. 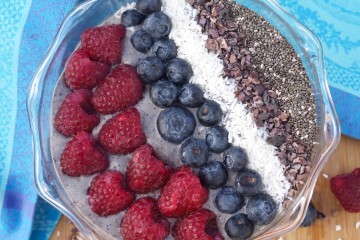 It’s such a simple recipe to put together, but looks colourful, tastes delicious and could even work as a healthier dessert to really impress family and friends! This post has been sponsored by Nutmost. 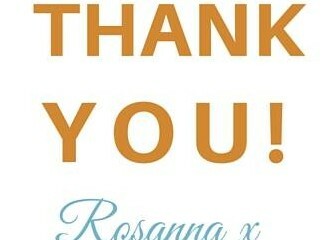 Thank you for supporting the brands that support Rosanna Davison Nutrition. 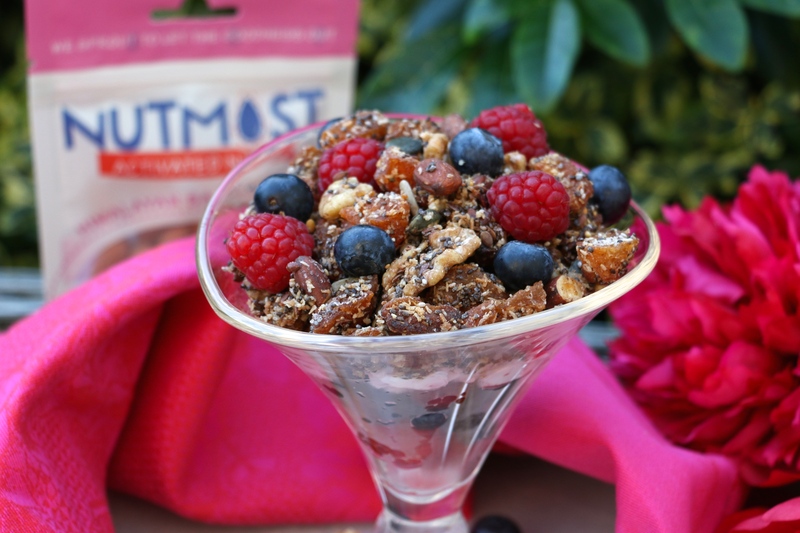 Nutmost is currently stocked in over 30 SuperValu stores mainly in Leinster and independent artisan food stores such as The Punnet, Select Stores in Dalkey, Fallon and Byrne and The Butler’s Pantry. 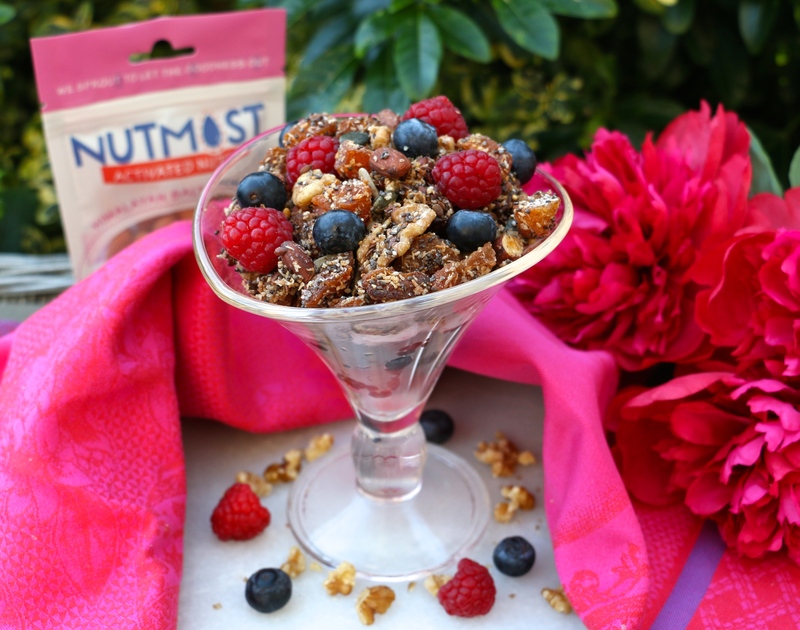 The products are available to purchase on www.Nutmost.ie and you can follow the nutty adventures on Twitter, Instagram and Facebook – all @Nutmost. 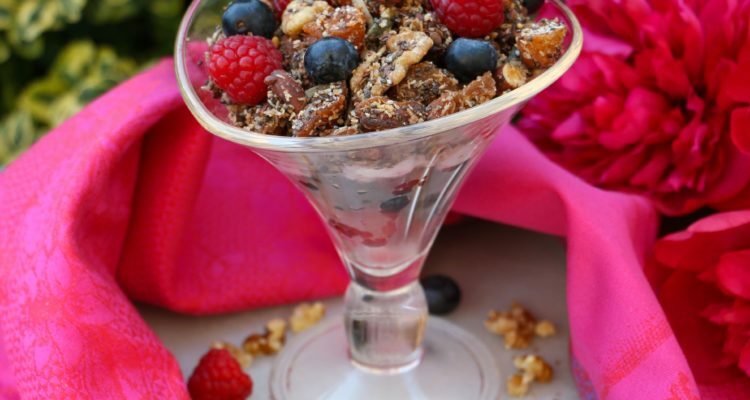 Crunchy, lightly spiced granola with pops of sweetness from the maple flavoured walnuts and dried apricot. Delicious on its own or served as a parfait with coconut whip and fresh fruit. Pre-heat the oven to 190C and grease a baking tray with coconut oil or line with a sheet or greaseproof paper. 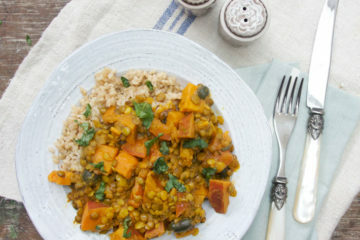 Place the walnut pieces, chopped apricots, coconut, seeds and spices in a large mixing bowl and stir to mix well. Add the melted coconut oil and maple syrup, mixing again to ensure everything is well coated. Spread the granola out on the tray and bake in the oven for 30 minutes, until lightly toasted. Allow it to cool and crisp up for 10-15 minutes before serving. To prepare the coconut whip, gently open the can of coconut milk without shaking it and spoon the hardened coconut cream into a blender. It should have separated from the water. Add the raspberries and vanilla extract and blend until it reaches your desired texture. Some like it smooth, while others prefer some raspberry pieces in it. 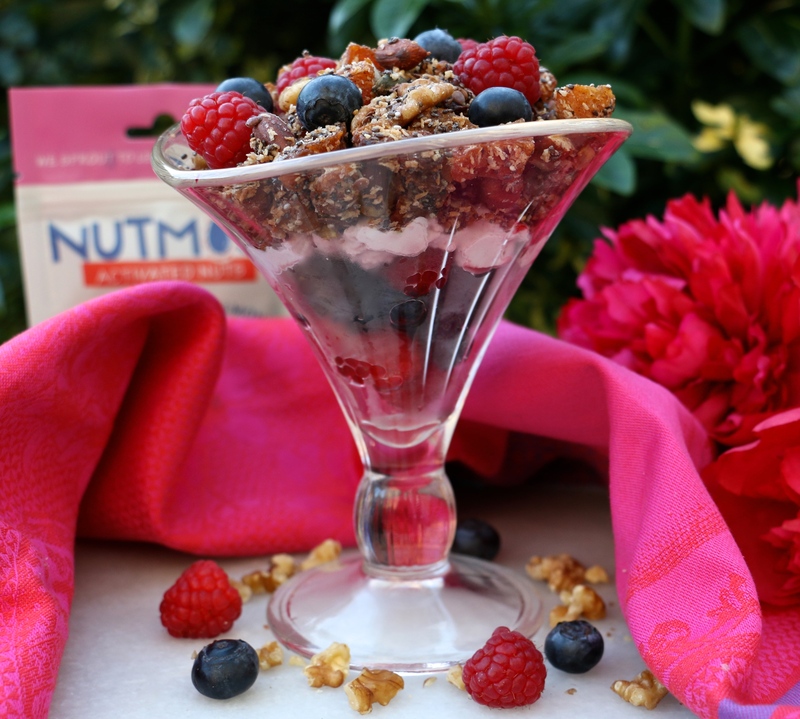 Arrange in a jar, bowl or glass, layering up fresh berries with coconut cream and granola.